If you’ve been following along on my Instagram stories for the past month or so, you’ll have seen that we’ve been working hard on decorating our rustic-vintage guest bedroom (inspired by the Airbnb we stayed at in New York recently). We’ve been doing plenty of local thrifting to score unique finds, but ultimately, I think my Steamline Luggage completes the vintage vibe of the room. 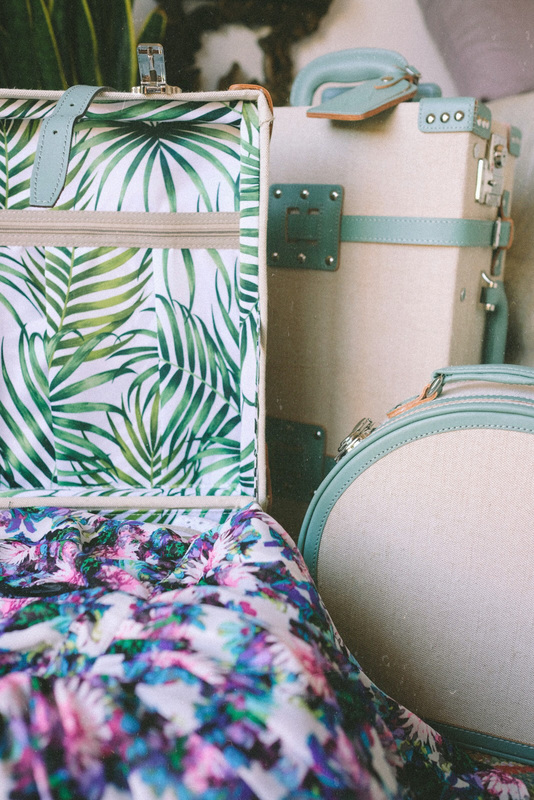 Who doesn’t love luggage that’s not only visually appealing, but also fun to take along on trips? David & I had our 4 year anniversary last week, but we’ll be celebrating later this month somewhere cooler to escape this desert heat. Cannot wait to travel in style with my new babies! On our recent trip to New York City, I brought the carry-on luggage and the small hat box with me. I did not dare check them in; instead, they traveled with me on the plane! Baggage claim can be pretty reckless from my experience. I love that I was able to organize my carry-on essentials nicely, and having the wheels on the suitcase made it so much easier to get around efficiently. I used to take a larger duffel bag with me on the plane, and it was always a hassle to lug around because it was so heavy. The small hat box is a great statement bag as well. It even comes with adjustable straps that are easy on the shoulders! How do you travel in style? 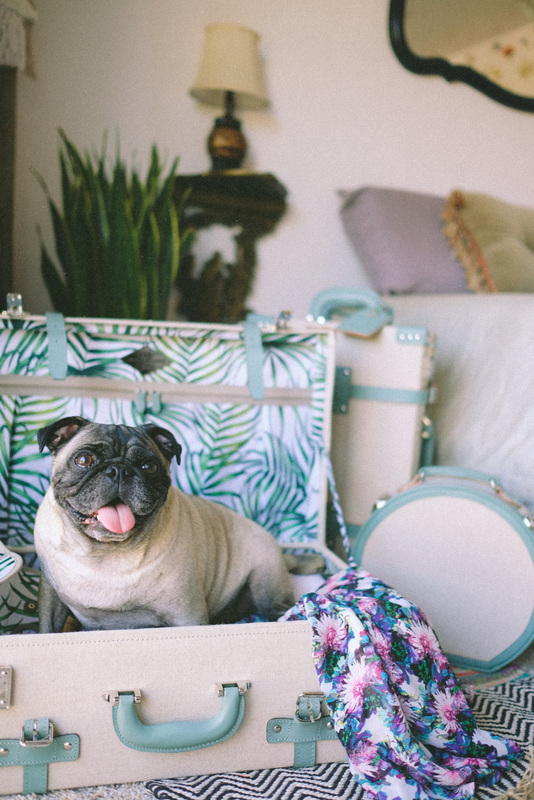 Do you have a favorite luggage brand? 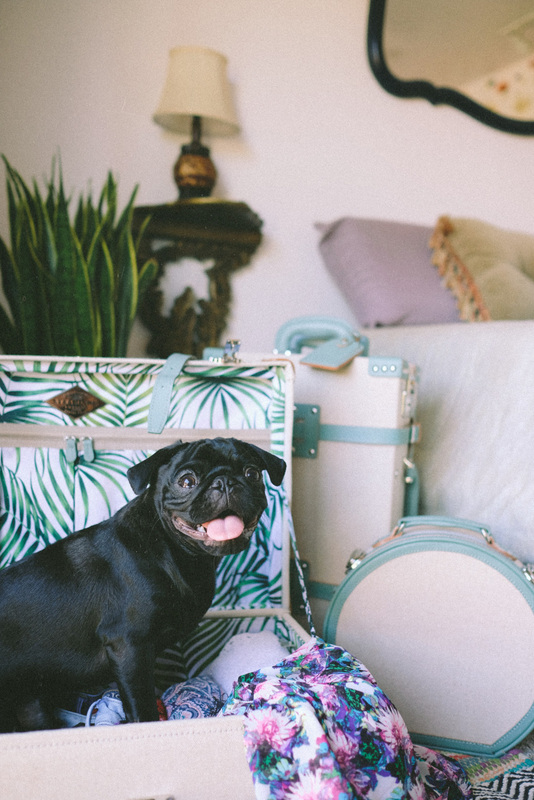 I love the luggage collection you have displayed here, it is so pretty, and reminds me of a peaceful island. Thank you Cynthia! I’m glad that you like it. It does remind me of a peaceful island, almost like a dreamy tropical getaway! Omgggg these suitcases are GORGEOUS! I haven’t seen anything like them before. Their website is so easy to navigate like yours too! Will definitely have to check these out before my next trip in August. Thank you so much for sharing your beautiful collection babe! The palm print inside is sooooo pretty! Love the intricate detailing. 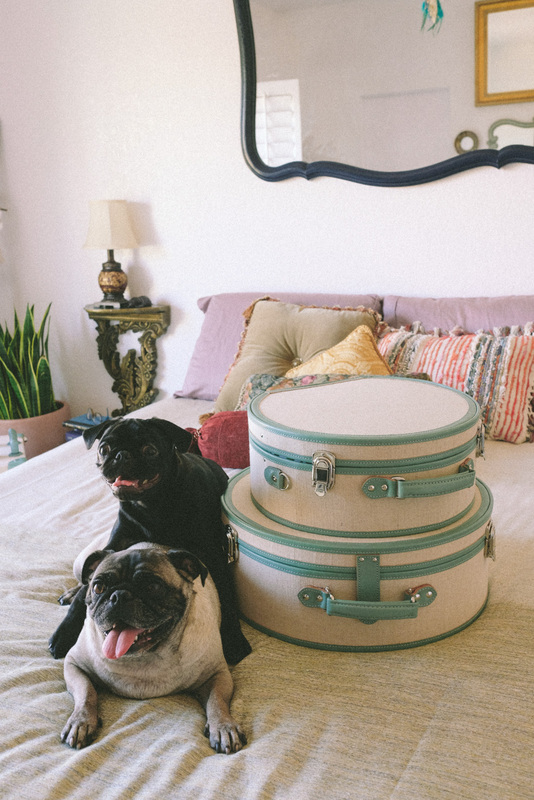 You’re so right – Steamline’s luggage is not only great for travel but also looks beautiful as props in a bedroom. Such a brilliant idea, Sharon! Okay I just fell in love with that luggage set! It is perfect for summer and makes me feel a sudden urge of wanderlust. Thanks for sharing! Right? Haha I want to go traveling more with these beauties! I saw their luggage all over Instagram and I’m in love! The design is so unique and seems like it stores all your essentials which is perfect for traveling! Right? I love how unique they are too. Truly one of a kind. I’m glad you love them too, Mariann! Those bags fit the vibe of that space so well! Love the muted tones as well. I love the attention to detail in this luggage! This luggage is beautiful! I really need the one with the green palm trees on it. Haha if only, right?! Lol! Love this luggage collection! I recently purchased an Away suitcase (which I love!) but I love the idea of having separate “fun” luggage for roadtrips where you don’t have to worry about it getting ruined. Definitely going to be checking out what SteamLine has! Ahh! I’ve heard great things about Away too. Their luggages look really practical. I think Steamline is great for road trips and local travels because I never have to worry about getting ’em ruined by baggage claim lol! That is the cutest luggage I have ever seen! 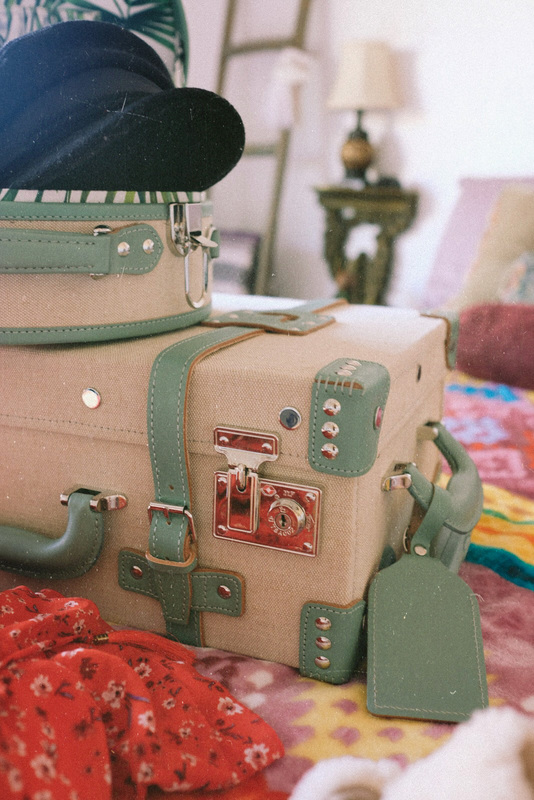 I love the vintage trunk looking luggage! This set screams paradise vacation! I love it! Me too! 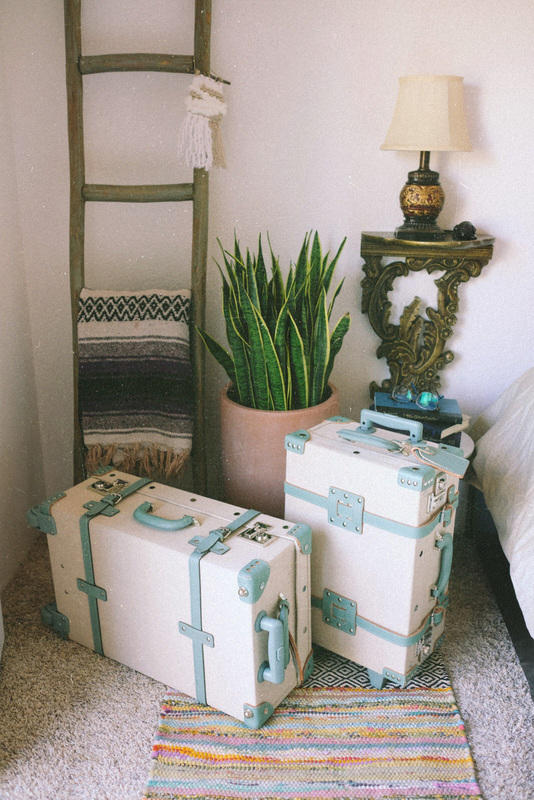 I’ve been obsessed with all things vintage lately and these suitcases are no exception. Yes you do! They are so eye-catching and fun to travel with! Couldn’t agree more. Every traveler needs one! Wow this is amazing. I think this is the most beautiful luggage I’ve ever seen! Haha I have to agree with you on that! So true! You can tell that a lot of thought was put into the design process of these beautiful suitcases. This is why I love Steamline! These are the absolute cutest luggage for travel!! I love the style and the print is too cute!! Totally need these for my next trip! Right? The interior lining is different across all the collections too! So creative and unique. I adore the design too! Me too! Screams summer vacay hehe. I don’t see hat boxes very often actually now that you’ve mentioned it, and I love that Steamline does! Ah this luggage is to die for! I need another luggage for travel and this is perfect! I’d love to see which collection you pick, babe! Aww the luggage is so cute! I love vintage-inspired travel pieces! I need that luggage! So beautiful. Right? I feel like I can’t get enough! 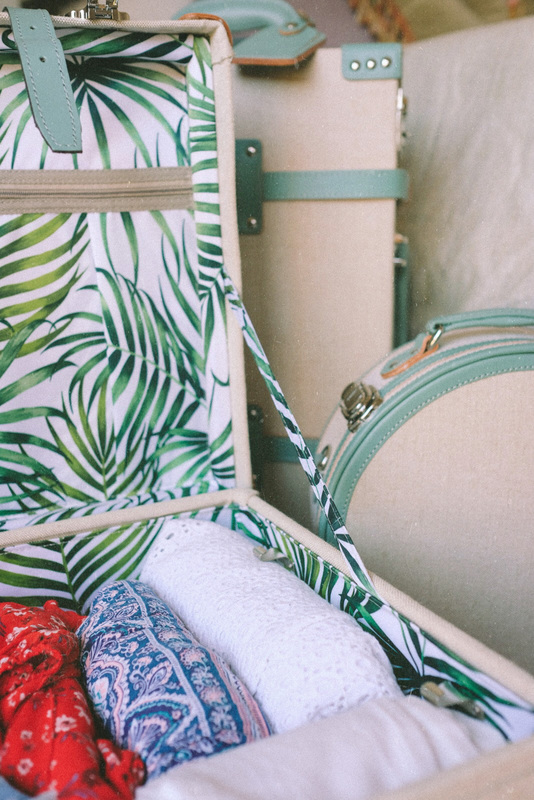 This is definitely one of the most gorgeous luggage out there! Loving the retro look, and it looks even more amazing inside. I couldn’t agree more with you! 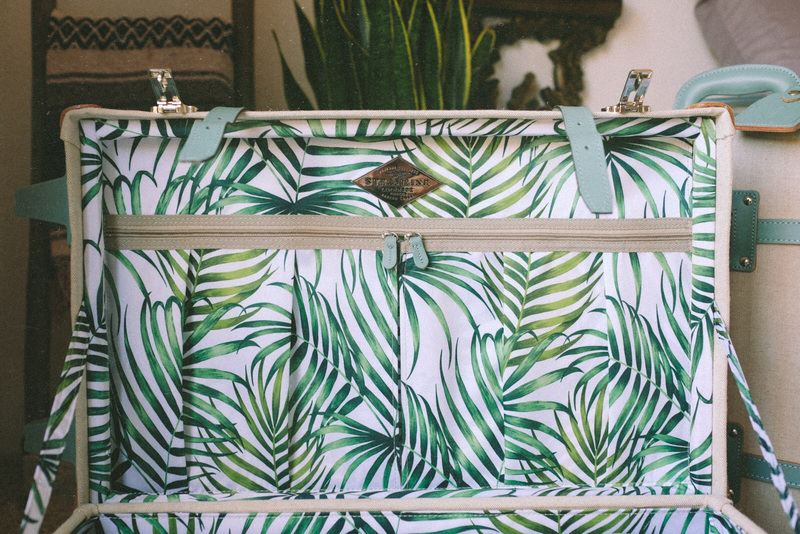 It’s rare to find a luggage that looks as gorgeous on the inside as it does outside! These steamline luggage trunks are amazing!!! I didn’t know these existed! Definitely adding them to my wishlist ASAP. They are so wishlist worthy! Hope you’ll be able to get your hands on a few! OMG I am so obsessed with this luggage! That hat box is so darling I want it all!! Me too – can’t get enough of ’em! The hat boxes are game changers in keeping my hats in their original shapes! We saw the most gorgeous travel pieces I have seen in a long time. I love the print in color. 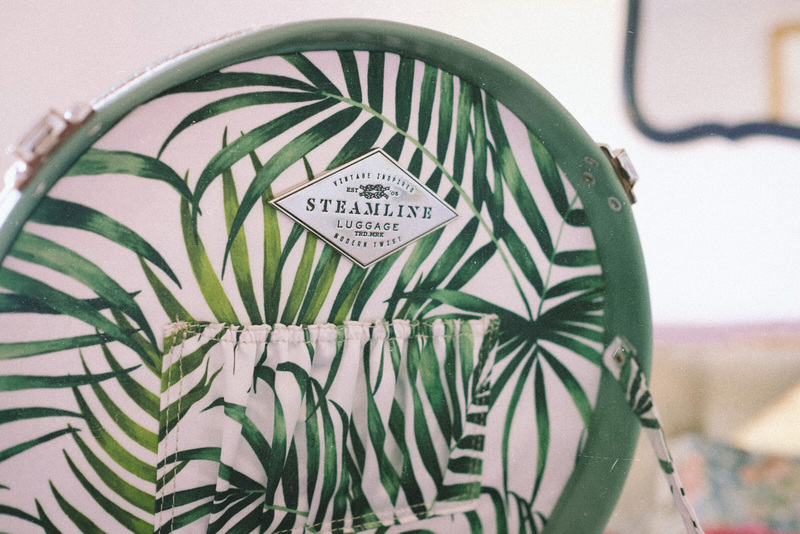 I am so obsessed with the steamline luggage! The hat luggage is everything!! This luggage is absolutely adorable!! So glad you think so too! This luggages are STUNNING! I am scared to hear its cost ! 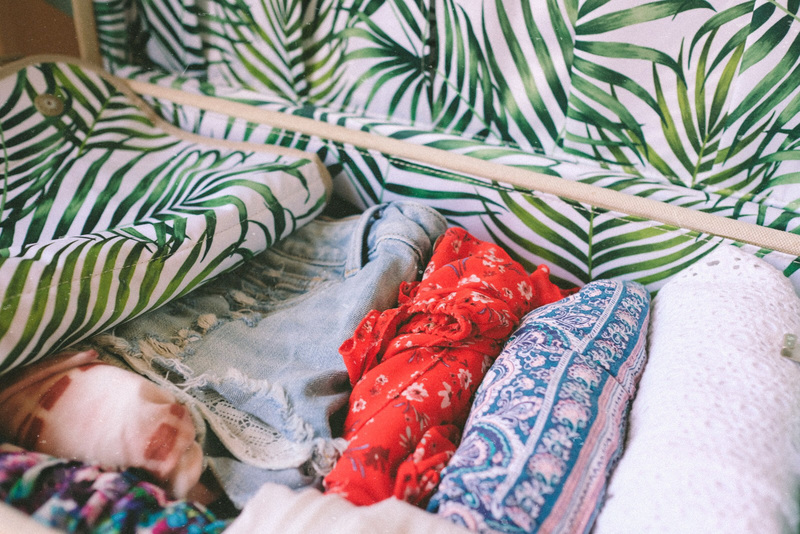 It’s not just you hun, I pack half my closet when I travel, no matter if it’s only for a weekend or two months, haha. Then again, I guess we need to considering we do what we do for a living! (Trying to find an excuse for us here…) Then again, why travel light when you’ve got such stunning luggage as the Steamline series seems to be. It looks absolutely amazing and I don’t think I’ve ever seen luggage that beautiful. Being the lil traveler I am, I need to invest in these!!! LOL! I’m so glad to hear that I’m not the only one! 😉 I think these suitcases would travel well with you, Thomas! The collection looks so pretty. Love the photographs with the post as well! Wait so this luggage is actually the cutest thing I’ve ever seen. Love it! This luggage is GOALS! Love it all, so so pretty!! This luggage collection is stunning! I love the vintage yet sophisticated look. I definitely relate with packing the whole closet part, so its a huge plus that it has plenty of space. Omg how cute is this luggage! They’re so unique and I love the print inside. I need this luggage in my life. I just added that piece from Anthropolgie to a Pinterest board. Yes!! You totally need it! I am still in awe at how gorgeous their sets are too! 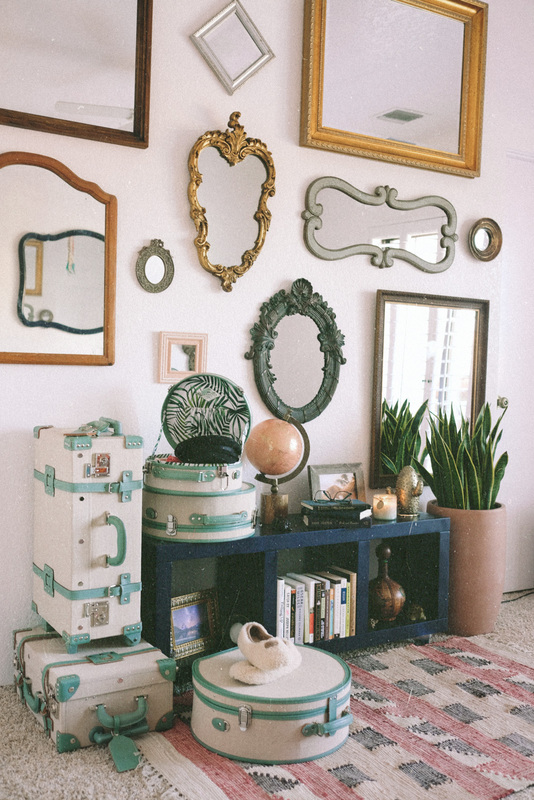 I am really digging the vintage vibes as well and the fact that I can not only travel with them, but also decorate my guest bedroom with them too 🙂 So versatile. Hope you will find a set you love enough to make your own this fall. Thanks for stopping by, Christine! So glad to hear your friend is a fan! Totally the cutest luggage I’ve seen and owned! This is the cutest luggage set ever! I love the detail and color! I love palm print! This luggage is so adorable! That luggage is so pretty! I love the vintage feel and the palm print interior is so perfect for all your summer travels!! Yes, indeed! I can’t wait to go places with these beauties this summer and beyond. This luggage is actually the most beautiful luggage I’ve ever seen. Isn’t it gorgeous? Haha my favorite luggage brand for sure! OMG I adore this set. You know I’m travelling like 150 days of the year and always do Instastories with my luggage 😂 I mean, I’m away every other weekend at least, so I should get it right??? Wow, This luggage is gorgeous! I love the colors and this is so unique, I need to check into it! I am so glad you love it as much as I do! That luggage is absolutely lovely! I love a luxury, vintage luggage set and those colors. Great choice! Thanks Alix! I am with you! Can’t get enough of the vintage vibes lately. If you had to pick between the deluxe or large for an overnight or short weekend trip, which would you suggest? You are most welcome 🙂 Happy travels darling!